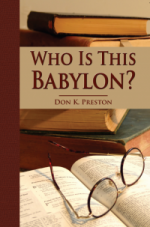 When Don K. Preston’s first edition of Who Is This Babylon was introduced, it was called “ground breaking” and even “definitive” by scholars and laymen alike. 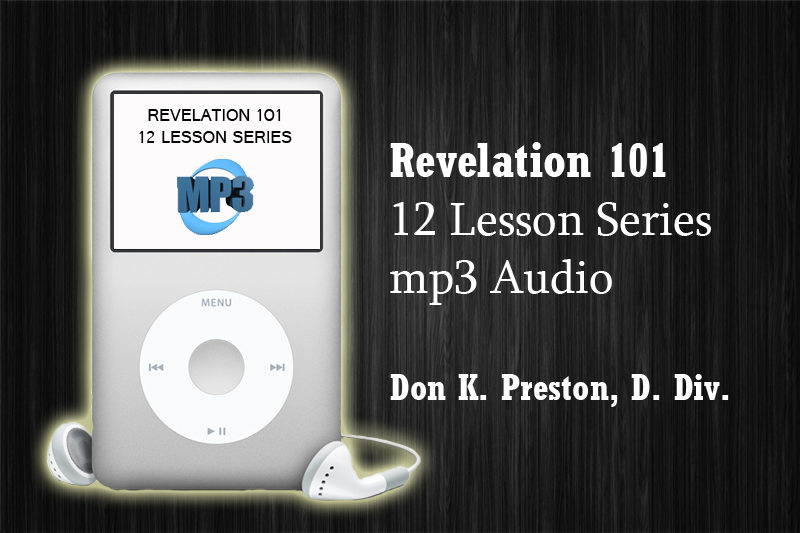 Preston’s logical, analytical, and most of all textual approach to understand Revelation has helped thousands to better understand this enigmatic book. The book sold out quickly, and has been out of print now for a good while, as Preston continued his research, and also finished other pressing writing projects. 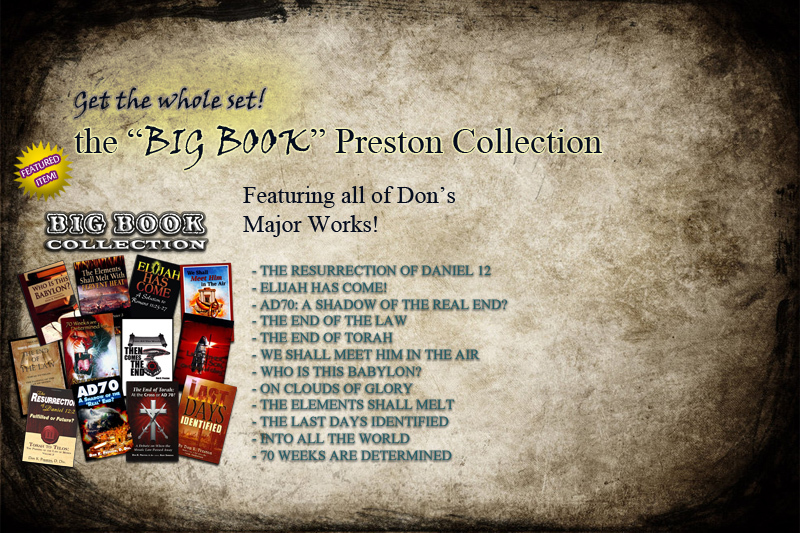 Preston’s continued research has now resulted in a revised, enlarged, (100+ pages added! ), and vastly improved second edition of Who Is This Babylon! 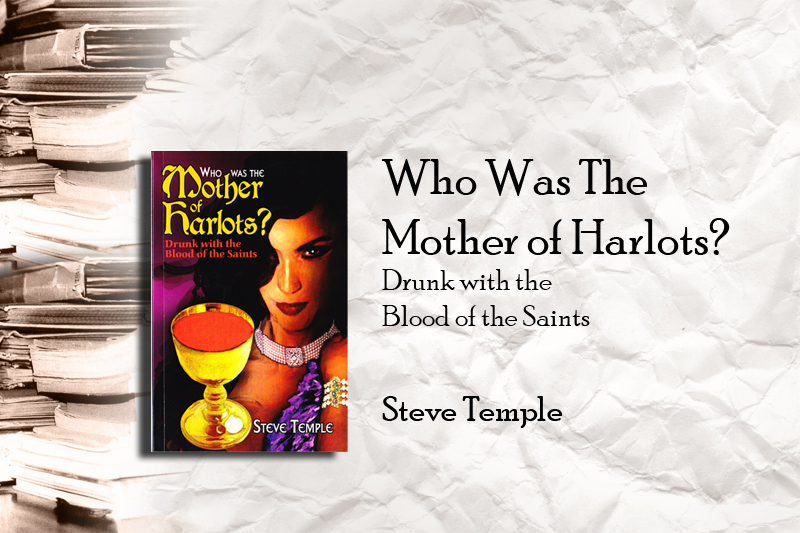 If you profited from the first edition, you will be blown away with some of the new material in this new book! Here is a small sampling of what Preston has added to the new version of Who Is This Babylon. If you are tired of all the false predictions and failed expectations, this book is for you. If you want solid, logical, but above all Scriptural answers about the Last Days, this book is for you! If you want to face the future, liberated from fear, this book is for you! 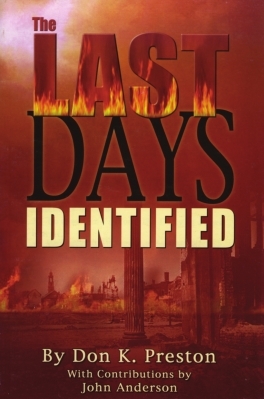 Don K. Preston is the author of several popular books on preterist eschatology, including Can God Tell Time (four reprints) and Who Is This Babylon? an acclaimed work on Revelation. HE is a popular speaker, radio host, and debater. This book qualifies for our Beginner in Preterism series. ALL FOR ONLY $205.95 + S&H! That’s over $40 in savings, plus you only pay shipping once! For only $9.95, learn the identification of “Babylon” in the Book of Revelation as the author provides a detailed explanation of the Old Testament use of the term “harlot” and shows why this is significant to a proper understanding of eschatology.